We now offer a drop ship program as a new way to provide our amazing products to your customers swiftly. At the same time we can also solve the headache and expense of managing inventory by shipping directly to your customers from our managed location. Sundale Outdoor is expertly capable of working with catalog order, online, or direct sales retailers. If you are a traditional catalog ordering company or a small upstart internet company, we have the experience and manpower to facilitate your orders. The beauty of the drop ship program is that all of our furniture items are available at your customers request. We deal directly with FedEx and meet or exceed their standards. 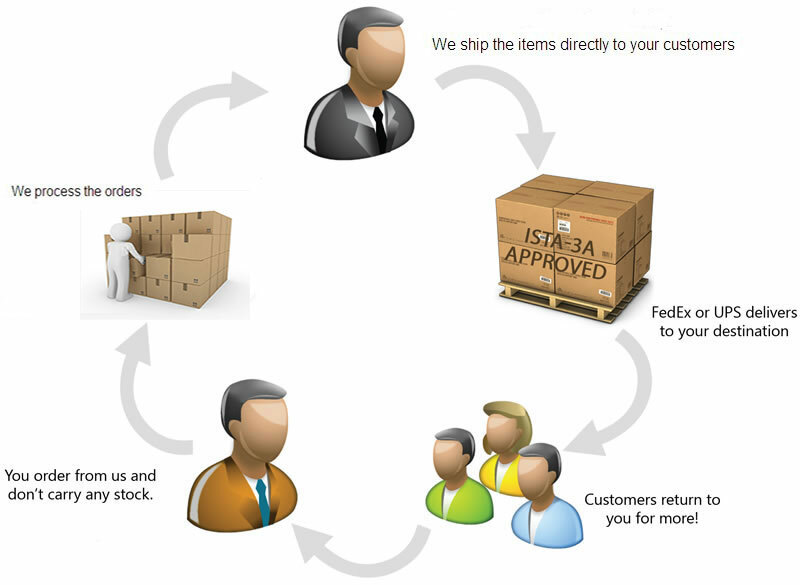 We can even provide advanced shipping notice if that is what your customers request. So relax. Let us take care of the day to day management and you can focus on the most important thing - What your customer wants! - Sundale Outdoor team. Join the ultimate Sundale Outdoor furniture drop shipping marketplace, created to help online patio garden furniture retailers increase sales and grow their businesses. Just take the order or pass along your customers information to us and we will ship directly to your client and you will receive a nice commission for doing so. You can even receive exclusive rights to your area! Call or email us for more details about our dropship program to see if you qualify. Contact us now, you will be glad you did!